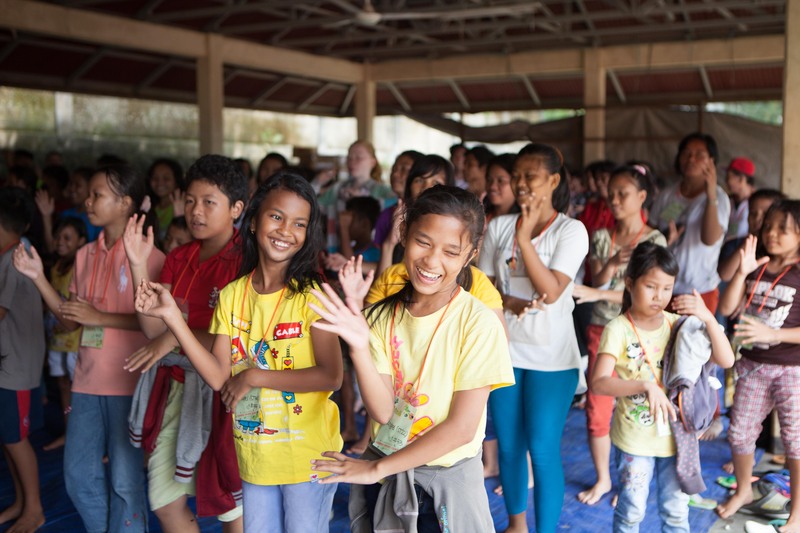 The idea of going to a three day camp with 250 orphans and 35 volunteers was a little scary at first, but it ended up being absolutely amazing! 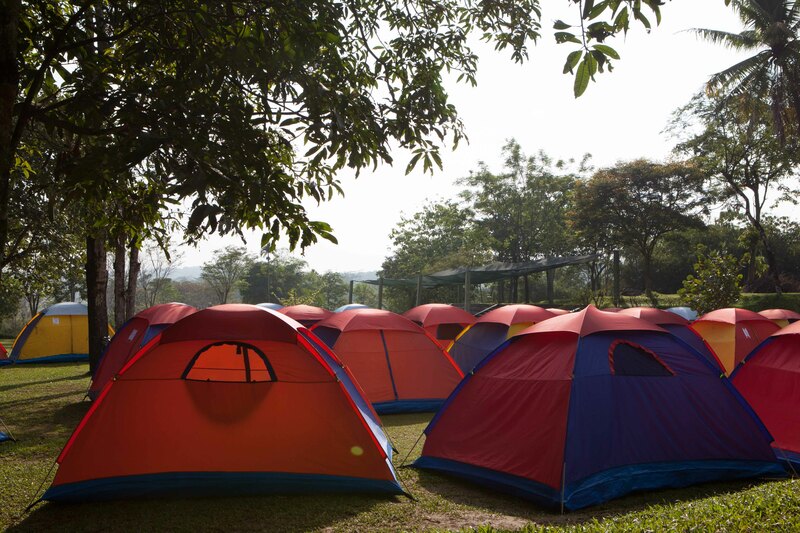 We all camped in tents at a campground about 2 hours outside of Jakarta. During the day we played soccer and then in the evenings had a team meeting/special celebration service. The kids were divided into two groups. I was part of the soccer coaching team in charge of the kids ages 12-17. We worked mostly on passing and dribbling drills, with a tournament at the end of each of the 2 hour sessions. While we were teaching them the technical soccer skills, we were emphasizing principles such as discipline and focus–because that would be used later in the team meetings where the head coach would share about each principle and how they should incorporate it in their lives as a whole. One of the best parts of camp was the music. The head coach taught them an Indian theme song that had all sorts of sounds and movements–which the kids loved! By the middle of the second day you could heart them singing it even as they were walking from event to event. ‘Wa ka kuwe kuwe, kaka…” I still find myself singing it at random parts in the day. 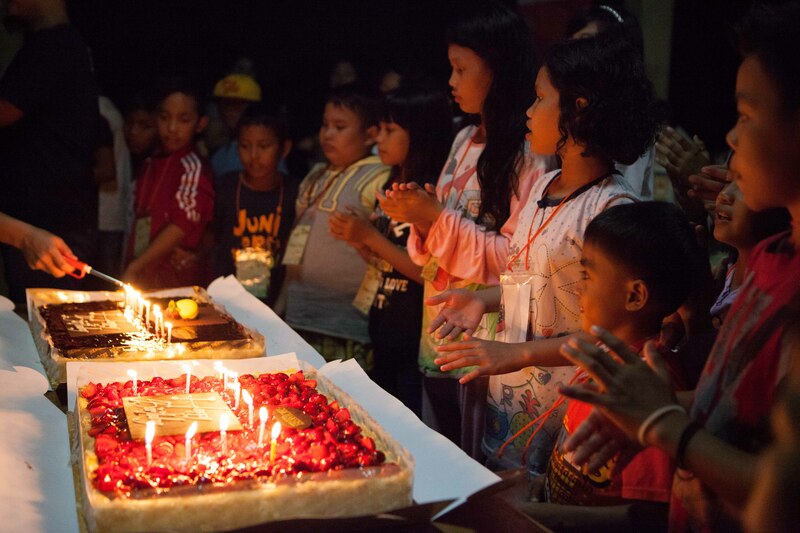 After the first evening team meeting, the camp team organized a special birthday celebration for all the kids who had had a birthday in May or June. One of the local bakeries donated two cheese cakes–which was an extra special surprise to the kids (and to be honest the volunteers too). The highlight for many of the kids was the bonfire, fireworks, and sparklers on the last night. Each kid who wanted to share would come forward and share what they had impacted them the most about camp. After the bonfire the kids all got sparklers. It was so fun to see their joy as they were running around with their fire sticks. It was such an honor to get to work with these kids, even if it was just for a couple days. I learned so much from them and hopefully they learned a thing or two from us coaches as well. What do you do when you only have five minutes before everything you have burns down in flames? For most of us, that is never a question we have to ask. 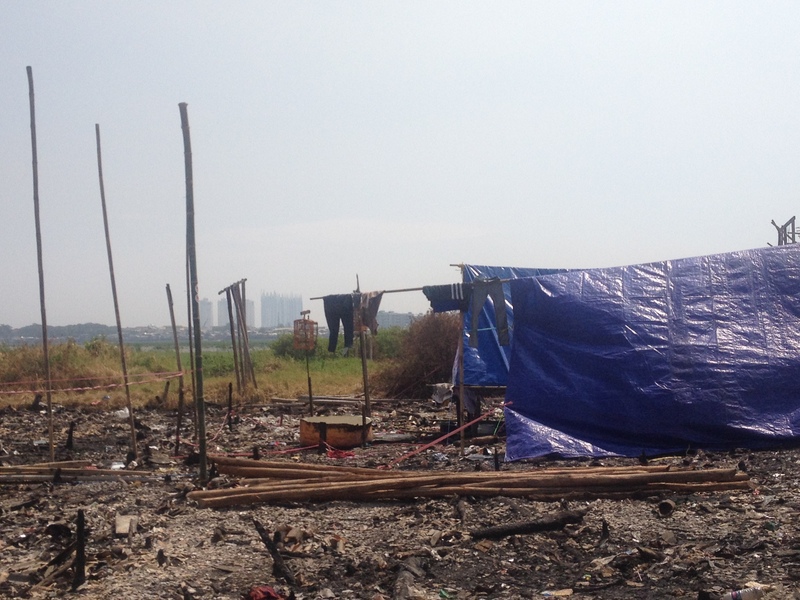 But for the community members of Muara Baru, that was a decision they had to make last Sunday morning when an entire section of the community burned to the ground. “The flames started around 11am and we only had about five minutes before it would reach our house. We threw some of our clothes in the water reservoir and then ran towards the street. 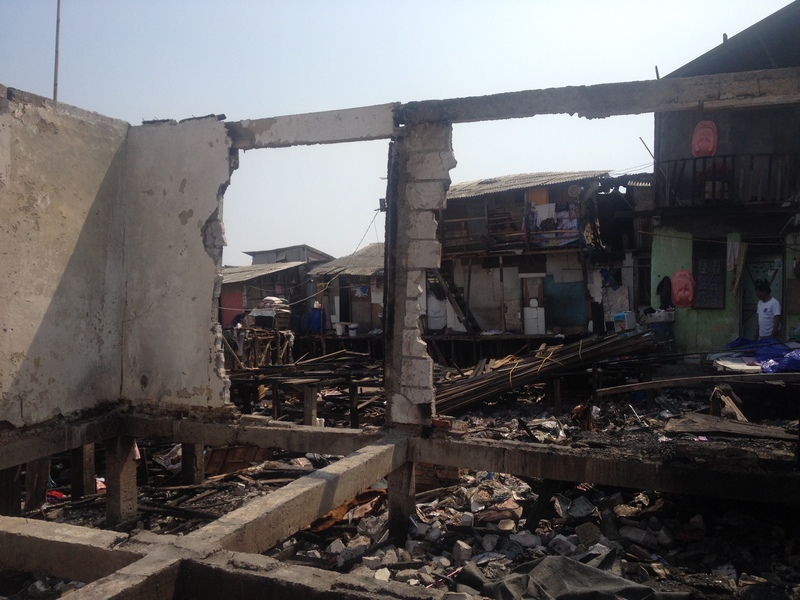 Everything we owned is now gone,” one of the ladies of the community told us as we were walking through the rubble near where her house used to be. Her and her family put up bamboo poles and a tarp to create a makeshift hut where they could spend the night. “We are more fortunate than most to be able to buy a couple necessities. We decided that it is better to at least be where our home is…and at least now because of the fire there are no mosquitos.” That she could find something positive, like their being less mosquitos, in the midst of losing everything, absolutely astounded me. The community is now starting the rebuilding phase. They work to make a few dollars, buy building materials, build what they can of their house, and then go back to working to make more money so they can continue building. Some of the residents have set up blue tarps to create makeshift tents where they can stay while they finish building their huts. As I was walking through the rubble, I was amazed at the community’s resilience—at their ability to deal with what happened and move forward and begin to rebuild. I think it also helped me understand their attachment to where they live. To me, their living conditions may not have seemed great—but to them it is home. The same community burned about 10 years ago and they rebuilt it. 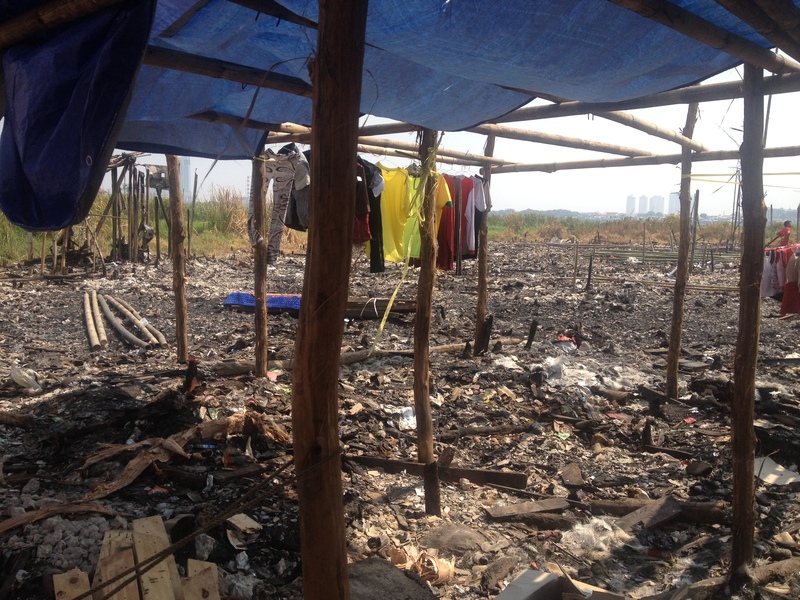 So this time around they will rebuild again…even if it is just to live in for a few months before the government of Jakarta tears down the whole community and moves them to the new government housing. Not only was I amazed at their resilience, but I was hit with a weight of responsibility for our reaction as Partners for Compassion. As Community Development Coordinator, I have a part in what type of aide we send them. I have a responsibility to help them and serve them.Seeing the adults working at rebuilding and the kids playing in the rubble, it helped me to begin to feel the need rather than analyze it simply make decisions based on facts without truly feeling their need. I love this community. I love the people. I am excited to see how they respond to crisis and to get to be a part of helping them move towards rebuilding.